Harold A. Deaver, son of Mr. and Mrs. Devey W. Deaver, Caddo, husband of Katherine Williams, Markley. 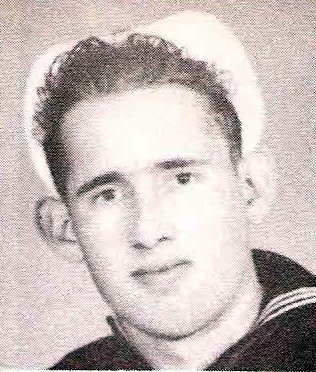 Entered Navy, 1942, trained in San Diego, Oceanside, Cal. Served on USS Hinsdale on Iwo Jima and Okinawa. Awarded Victory Medal with 2 Stars, APO with 2 Stars and ATO. Wounded in Okinawa. Discharged in 1946.